Listed below is a sampling of some of the ideas we've got to help your organization's fundraising efforts. We can customize any program to fit your needs. Many of these programs require minimum effort to get started. Call us today to see how we can help give your fundraising a BOOST! 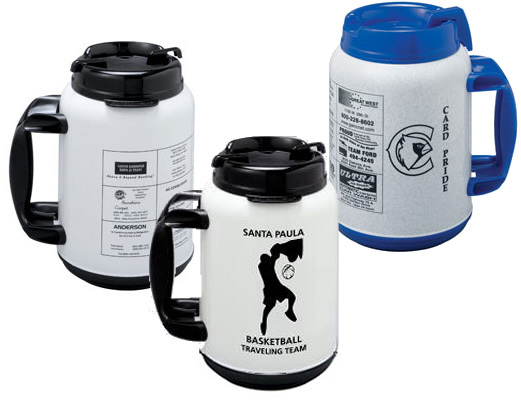 This idea also works with t-shirts, mousepads, tumblers ... any product with space for your sponsors' ads. 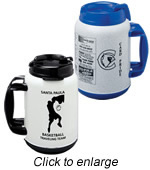 You have nothing to lose ... Sponsors' ads pay for mugs ... You sell mugs for complete profit! Keep your organization, special cause or business in front of supporters all year long with a custom calendar. Your calendar can feature your pictures or, perhaps, artwork created by children. Include information pages, coupons, schedules. 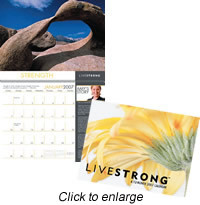 You can even include a donation form and envelope with your calendar, saving you the cost of an additional mailing. Highlight the stories of the people you've helped. Share your cause's history. Or, feature potential donor's names in your calendar's ad area, adding a personal touch that supporters won't forget. Calendars are perfect for: School Spirit - School Year Calendars - Sports Teams - Church Groups - Non-Profit Groups - Humane Society - Libraries - Villages - and more! 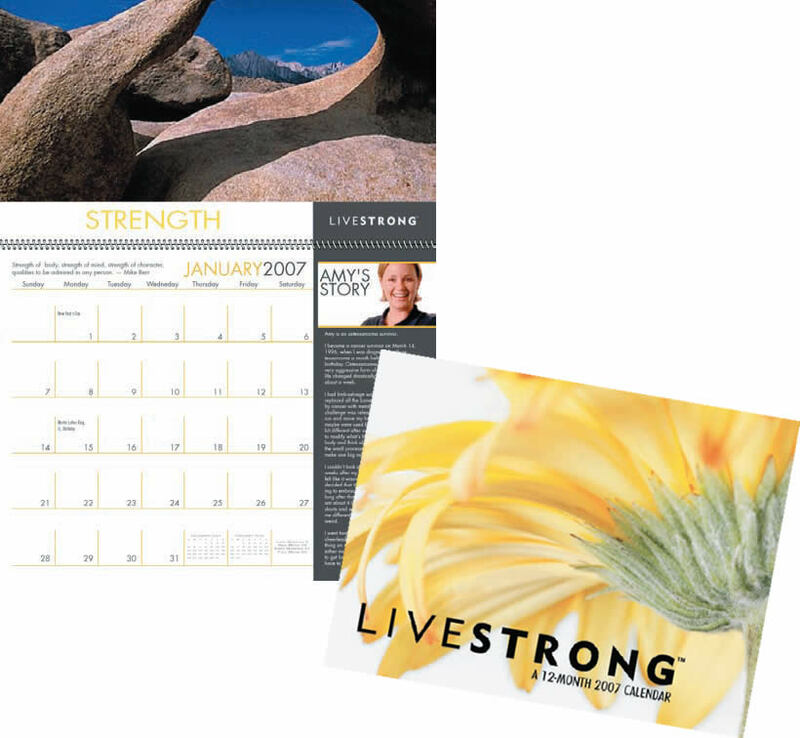 Wall calendars - desk calendars - planners ... all can be customized with your pictures, company colors & logo. New lower quantities! You can order as few as 50 fully customized calendars!